Serious about advancing your career? Then it’s time you discovered the NAB advantage. 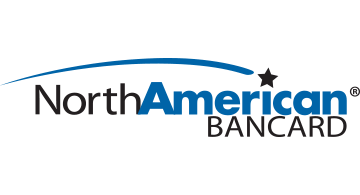 At North American Bancard, we are North America’s 7th largest industry acquirer, processing more than $50B worth of transactions for more than 310,000 satisfied merchants each year. However, we’re so much more than just a payment processor. Really, we’re a technology company operating in the payments space – one who is committed to developing and leveraging the next innovations that will drive the future of transactions. Most importantly, we’re a true partner to both our Sales Partners and the merchants we serve. Become an NAB Sales Partner today you’ll get access to all the products, tools, and support you need to take your career to a whole new level. Leverage the industry’s largest selection of FREE cutting-edge equipment including EMV and NFC solutions. Then, open more sales channels and close more deals with access to different processors, plus the very latest in countertop and mobile equipment, merchant cash advances, solutions for high-risk merchants, and more. Once you do, you’ll enjoy industry leading compensation including bonuses on every deal. Access sales tools, online enrollment, and the latest news and updates from NAB headquarters with our online Sales Partner portal. Build credibility with professional marketing tools including your own customized mirrored website. Sign up merchants quicker than ever with Simplified Enrollment – the best online merchant app in the business. Then, track your residuals, bonuses, and even merchant processing activity with our portfolio management system. Take your portfolio to the next level by joining NAB’s award-winning ISO Program that allows you to build your own brand (we’ll even help you pay for it)!